Auckland City FC have enjoyed a solid hit out against the Al Ittihad Kalba SC with a 0-0 draw in an unofficial training match as part of their preparations for the FIFA Club World Cup UAE 2017. Navy Blues coach Ramon Tribulietx gave the bulk of the squad significant game time in a match played in warm conditions at the Dubai Sports City complex this evening. Although both sides were more concerned with the performance rather than the score-line, the match began at a fast pace, with the Navy Blues trying to adjust to the physicality and intensity of the football. Chances were few and far between with Auckland City’s best chance came late in second half when Alfie Rogers cross to an unmarked Reid Drake at the far post saw his shot force out a save from the Al Ittihad substitute goalkeeper, Otmane. The match marked the 100th game for the club for 33-year-old midfielder Albert Riera while young goalkeeper Conor Tracey made his first team debut when he replaced fellow stopper Danyon Drake with 15 minutes left to play. CONGRATULATIONS – Albert Riera #NavyBlues club appearances! Al Ittihad created one half chance when Rached Ali went on a mazy run towards the Navy Blues goal before trying to wind a deft curled shot past Tracey’s right-hand upright. The second half saw both teams make a number of changes to their line-ups which, for Auckland City, meant nine changes. The remainder of the match remained an arm wrestle with both teams threatening but unable to find the back of the net with one major flashpoint that saw Te Atawhai Hudson-Wihongi taken out by a tackle from behind that resulted in the only caution of the match. After the match, Auckland City FC assistant coach Ivan Vicelich was pleased with his team’s solid first effort after the mammoth 17 hour flight to Dubai. “It was a very difficult game but good for the boys to get some game time in their legs. The team just arrived yesterday after a long 17-hour journey. “They were a bit tired and you could see that in the game as well. We started off slow and in the second half we made a lot of changes but overall it was good to get a run. “The boys did well and we competed really well, it was physical and it was a tough game,” Vicelich said. Al Ittihad’s combative performance was a good indication of just one element the Navy Blues could face when they meet Al Jazira on December 6. “Al Jazira is a physical side they’ve got some big guys in the team but they’re also very aggressive. “They have technically good players with good quality and they’re very quick. “Today’s game was a stepping stone on the way to the FIFA Club World Cup playoff. “It gave us a good 90 minutes for our guys today and we’re looking forward to the next one,” he added. 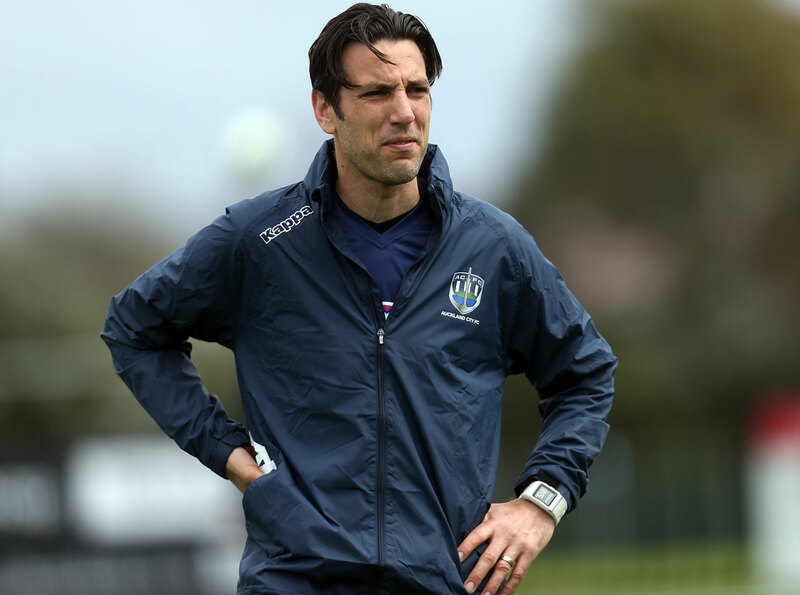 With the team taking its domestic form onto the international stage Vicelich said the clamour for places was a positive for Auckland City FC. “A lot of the performances today were very good. The starting XI is still not locked in so we’ve got a lot of quality right through the squad – the boys have trained well and played well for the last month so selection is all up for grabs. “The next two friendlies will have a lot of say in how we prepare for the big game. “The guys are performing well, playing good and looking after themselves which means the team is going to be difficult to pick but that competition for places helps,” he said. Auckland City FC will play another friendly match on Friday before heading to Al Ain to finalise preparations for their FIFA Club World Cup Playoff clash with Al Jazira on 6 December.